When will tailBeacon be available? Light Sport: Available now but requires a Letter of Authorization from the manufacturer for installation. Certified Aircraft: Certification is underway and the TSO package has been filed. Shipments will begin following award of both TSO and STC. Rotorcraft certification will follow but we do not have a firm timeframe for rotor at this time. 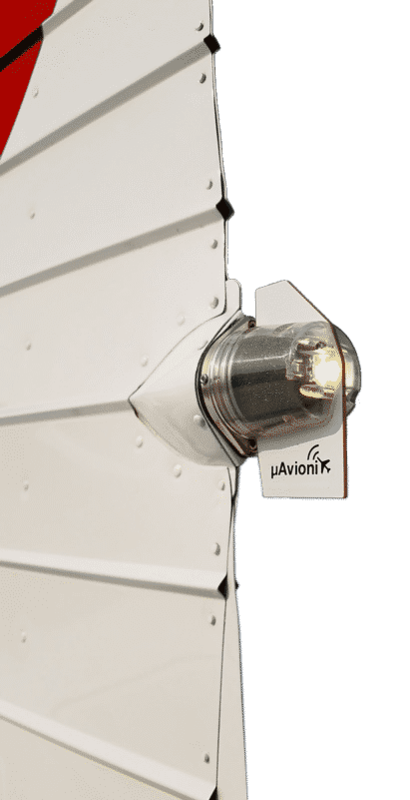 tailBeacon is designed to be a direct replacement for the common navigation light or nav/strobe found on the tail of many aircraft. tailBeacon has the form factor and installation characteristics of a traditional Grimes style rear postion light, referred to as a Grimes model S or A-2064. It is recommended that you download the tailBeacon installation and user instructions and carefully check the installation template with the aircraft prior to purchase ensuring that the tailBeacon will fit your aircraft. A typical tailBeacon installation will take an installer around 15 minutes. This is the time taken for the physical installation of the tailBeacon to the aircraft and configure the device. Please note that all aircraft are different and can potentially affect the installation time. We strongly recommend verification that the tailBeacon will fit the aircraft prior to installation or modification. Which transponders does the tailBeacon work with? The tailBeacon will work with any Mode C and Mode S transponder. Due to the unique design and technology of the tailBeacon, there is no need to run any new wiring to the transponder. Which aircraft can I install tailBeacon on? tailBeacon is eligible for install on any suitable experimental aircraft that routinely flies below FL180. Light Sport aircraft are also eligible for installation but require a Letter of Authorization from the manufacturer. Certified aircraft require the TSO certified version of tailBeacon. Which aircraft have will have STCs for installation of tailBeacon? Initially, there will be two STC’s for tailBeacon installation. The first STC is for the Cessna 172, followed by the Piper PA28. These high and low-wing installations satisfy the FAA requirements and will enable subsequent tailBeacon installations to be performed on any “suitable aircraft” without STC as a minor alteration. A suitable aircraft supports the installation of the tailBeacon without airframe modification. See mounting template for a 1:1 scale drawing to help you make this determination. I don’t have a Cessna 172 or a Piper PA-28. How do I install tailBeacon? Does installation of tailBeacon require rudder balancing? 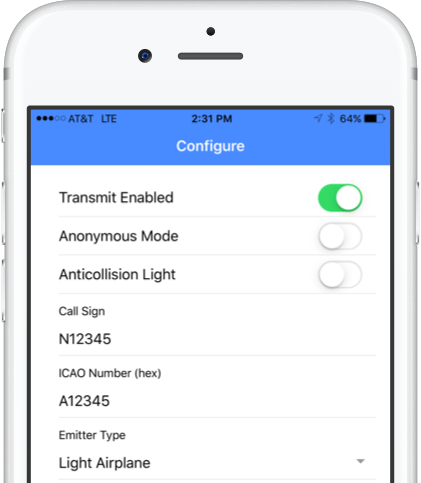 Once the tailBeacon has been installed it is required that the equipment be tested to show it meets the FAA requirements for ADS-B OUT. An Operational Flight Evaluation (often referred to as a performance flight) must be performed and verified by the FAA. Additionally, the installer may verify performance on the ground using an ADS-B ramp test set. Operational Flight Evaluation. Conduct an operational flight evaluation (OFE) per section 91.407(b) and request an FAA ADS-B compliance report. Will there be a version with a strobe or anti-collision light? No, tailBeacon is a rear position light. The color is aviation White. There is no anti-collision or strobe capability. Will tailBeacon meet the U.S. ADS-B 2020 mandate? Yes, tailBeacon will meet the 2020 ADS-B requirements when paired with an operational Mode C or Mode S transponder. 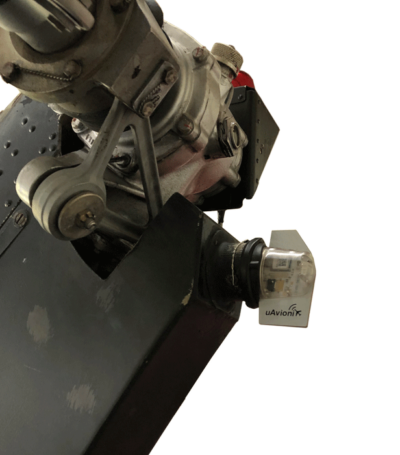 tailBeacon meets or exceeds all required performance and environmental standards for use in the national airspace. The certified tailBeacon will ship with 4 separate TSO certifications. Will tailBeacon work outside the U.S.? No, tailBeacon transmits on UAT (978MHz). The UAT (978MHz) frequency is only approved for use in the United States below FL180 (18,000′). For international travel or flight above FL180, a 1090ES transponder is required. My tailBeacon questions have not been answered, where do I go for support? We suggest you read the manual located here. 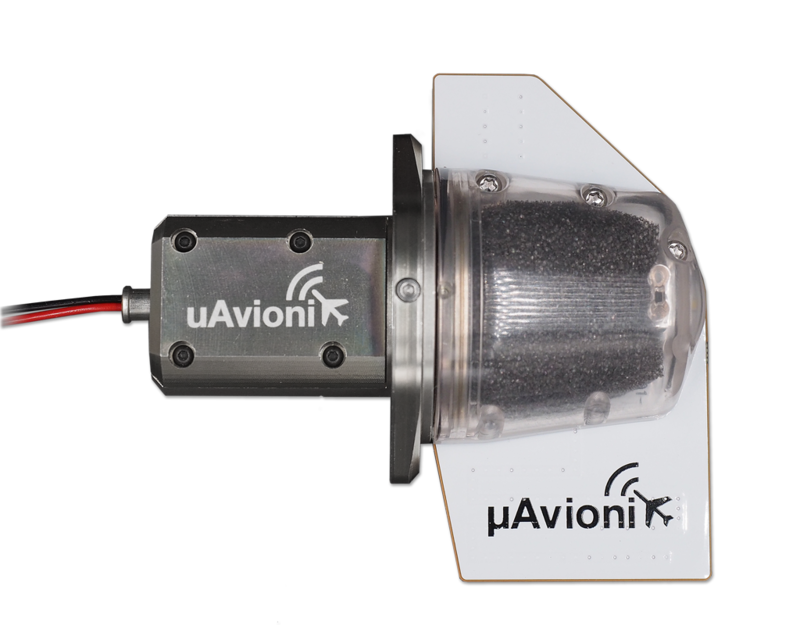 If you still have questions please send an e-mail to support@uavionix.com and we’d be glad to help. Please, complete the following form so we can best serve you. Enter any other relevant details.